My best selling crochet pattern! 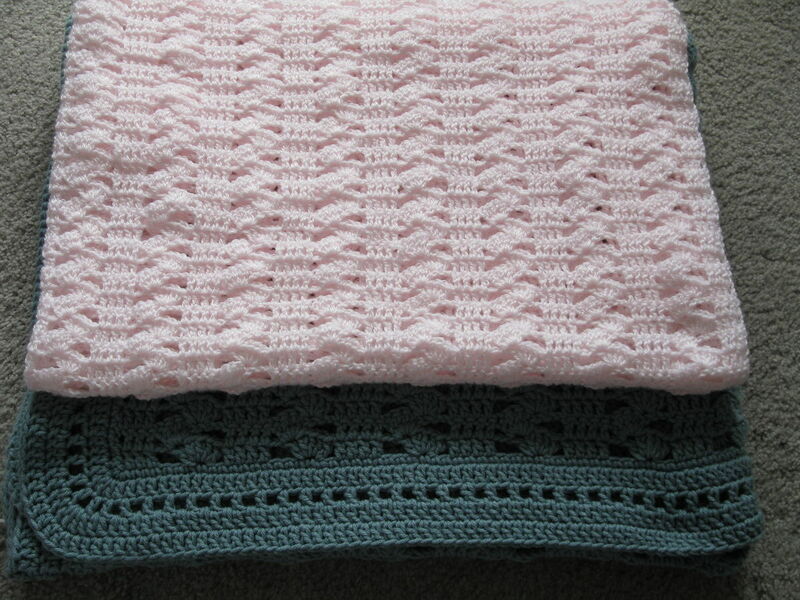 The INTERLOCKING SHELL STITCH Crochet Blanket produces a very classy and elegant blanket. Instructions are included to make it ANY SIZE! It is an easy pattern that produces impressive results. The pattern is suitable for a girl or boy. Make it in all white for a beautiful gender neutral christening blanket. I want you to succeed in making this blanket and Love It. The PDF pattern includes a detailed 16-page tutorial with 24 step-by-step photos to walk you through and show you exactly where to place your hook and stitch. The photos are very helpful for a visual learner to make sure the stitch pattern looks right. Tips are given throughout. It reads like a friend explaining how to make the blanket. Stitches used are Chain, Single Crochet and Double Crochet. It is an easy 1 row repeat with stunning results! Instructions are also given for the border. Pattern repeat is included so that it can be made virtually any size. Pattern is written in US terms. A chart is included in the pattern for UK/AUS including crochet terms, yarn weights and hook sizes. Photo tutorial can be viewed on your monitor or printed off. I try to make my patterns easy to understand and avoid some of the confusion of reading patterns. I try to be specific and detailed to clarify any areas that can be tricky and give tips along the way. If you are like me you choose a blanket by the stitch/pattern first and not the size. Did you ever see a stitch you really Love but it for a baby blanket pattern and you want to make a large afghan. Not a problem here....Every one of my patterns includes the pattern repeat so that you can make it ANY size. The Blue Blanket in the photo measures 46” wide x 80” long (116.8cm wide x 203.2cm Long). It was made with Red Heart worsted weight yarn. I made this blanket for my dad to use in his recliner. He is 6’4” tall so it is a nice size and will cover him to the toes. He Loves it.